Fellswater will be playing in a St. Patrick’s Day concert for the First Congregational Church of Randolph, Massachusetts on Saturday, March 10, 2018. 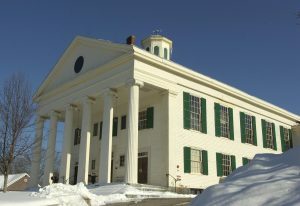 Concert will be held in the historic Stetson Hall, 6 South Main Street, Randolph, Massachusetts. Stetson Hall is right across the street from the church. In lieu of an admission fee we are asking those who attend to donate nonperishable items for the Randolph Friendly Food Pantry.